You are relocating to Kamloops BC. Whether it be for work, family reasons or a retirement destination Danielle can help you with your understanding of Kamloops as a city and its property market to help make your real estate decisions easy and as informed they can be. Her 40 years of living in Kamloops and the last 7 years as a full time top tier realtor makes her an invaluable local contact to help with all your questions. If your from out of Province Danielle can help you understand the differences in the British Columbia real estate market and make sure you are fully up to speed with the details such as the Property Transfer Tax and the various communities within Kamloops and it's surrounding areas. 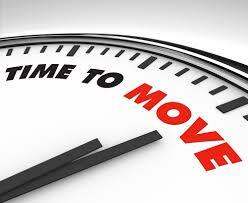 In the meantime read some of these tips for a Provincial relocation to help your move be smooth and trouble free. Government health insurance: Generally there is an allowance for the old provincial plan to provide coverage in a new province. In BC for example the rules state "New (and returning) residents are required to complete a wait period consisting of the balance of the month in which residence in British Columbia is established, plus two months before benefits can begin" It’s important to sign up for coverage with the new province/territory as soon as possible. This will be one of the first things to take care of. Be prepared to prove residency in some manner. You have 30 days to register, license and insure your vehicle after arriving in B.C. Cell phone: Do you need to change your cell phone provider for the new location? With the popularity of plans offering unlimited long distance throughout Canada this may not be necessary. Cancel utility accounts. Arrange new accounts for your new address as early as possible as some utilities may need a deposit. End any local subscriptions/services that cost money. 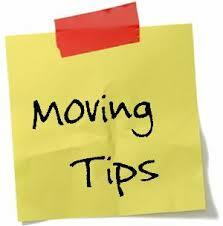 If renting, arrange to get deposit returned – provide forwarding address. Set up mail forwarding with Canada Post. Driver’s license: You have 90 days to switch to a B.C. driver's licence. Apply for a license in the new province/territory quickly, as this will be useful for new identification. Luckily full regular licenses are usually easily transferable. Test-packing to confirm how many boxes and bins it will take to move your stuff. Returning library books and cancelling any outstanding requests. Selling and giving away a few more items that are too big to move or don’t need anymore.